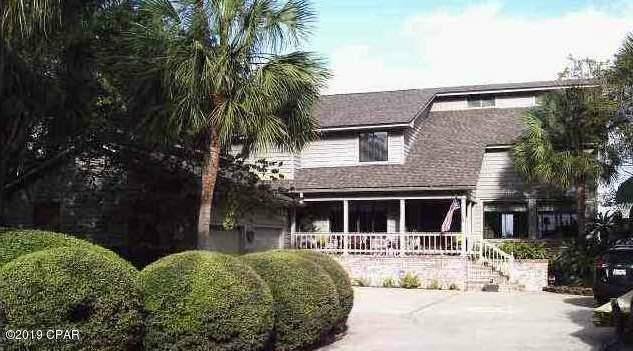 Located within Panama City limits on North Bay in the quiet and exclusive Kings Point Harbour neighborhood. Home is partially repaired and ready for your personal touch. Builder has already been working on the renovations. The sunsets are incredible here! Watch the dolphins play and the ospreys dive from you back patio! Dwelling repairs include all new wind impact tinted windows and doors, new roof, new insulation, new dry wall and siding/trim/chimney repairs. Roof is 40 year composite shingle and exterior siding and trim are cedar wood. 2.5 car garage. Complete building envelope refresh/upgrade and much stronger! Listing courtesy of Centergate Realty LLC.